There is no electricity and Asmeena cannot summon the strength to wave away the flies that settle on her face. She has been bedridden since being in a car accident four months ago. Her brother says the doctors have said she is paralysed from the waist down, and will never walk again. Asmeena is the widow of Rakbar Khan, the dairy farmer who was killed by cow vigilantes on the night of July 20, 2018. After the murder of 28-year-old Rakbar, Asmeena, who has never been to school and is unsure even of her age, was left to raise her seven children. The eldest, 14-year-old Saahila, dropped out of school to help her mother with household chores and add to the family income by working as a daily wage labourer; four younger children were enrolled at a residential school in Aligarh run by a charitable society. The youngest two, aged six and three, have stayed with their mother in Tapkan village in Haryana’s Nuh district. When the accident happened. Asmeena was on her way to visit her children in Aligarh in a taxi. A truck collided with the car she was in. The driver and a 19-year-old niece accompanying Asmeena were killed. Asmeena was first taken to the medical college in Nuh and then referred to a hospital in New Delhi, as her injuries were serious. Asmeena got married when she was about 13. Three of her brothers work as drivers, two work in a poultry farm, and the youngest has dropped out of school and is learning to repair tyre punctures. Seventeen family members live in the two-room house at Tapkan. Two married sisters are visiting; they have come to find work as daily wage labourers, harvesting the ripened wheat in Nuh’s farms. Haryana’s Nuh district (earlier called Mewat), is just 75 km from Delhi and is part of the Gurgaon Parliamentary constituency. It is India’s ‘most backward district’, according to a 2018 ranking by Niti Aayog of 101 districts. The districts were graded on five parameters — health and nutrition, education, agriculture and water resources, financial inclusion and skill development, and basic infrastructure. Nuh came last. The place has also seen some of the country’s most horrific hate crimes, tracked since 2012 by data journalism website IndiaSpend. In September 2016, a 20-year-old Muslim woman and her 14-year-old cousin were gang-raped and two other members of the family murdered by four men because the family had allegedly eaten beef. A few days earlier, the Haryana Cow Welfare Commission chairman, Bhani Ram Mangla, had said the Haryana police would ‘check’ biryani dishes to ensure they don’t contain beef, which is banned in the State. The Haryana Gauvansh Sanrakshan and Gausamvardhan Act of 2015 punishes anyone for possessing beef, or transporting / slaughtering cows, with up to 10 years in jail and a fine of up to ₹1 lakh. In Nuh, 792 such FIRs were registered between November 2015 and March 2019. In that period, 1,194 arrests were made. Rakbar was murdered when he was walking back with his friend Aslam from Alwar in Rajasthan after buying cattle. Confronted by a group of gau rakshaksnear Lalawandi village, Aslam managed to run and hide, but Rakbar was severely beaten. 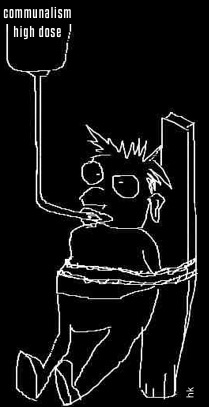 The last photograph of him, shot in police custody, shows him alive. But a few hours later, his post-mortem report states, he died of internal injuries. In his statement to the police, Aslam said he heard the attackers name the local MLA, Gyan Dev Ahuja of the BJP, who is on record saying cow slaughter is a bigger crime than terrorism. Like Rakbar, Umar Khan and two others, Tahir Khan and Javed, were transporting cows from Mewat to Bharatpur in Rajasthan on November 14, 2017. While Tahir and Javed were beaten, Umar was shot dead, and his body thrown near the railway tracks in the Ramgarh area of Alwar. The most prominent of all lynching victims is Pehlu Khan, whose widow Jaibuna continues to live in their ramshackle house in Jaisinghpur in Nuh. The 55-year-old dairy farmer had gone to Jaipur to buy cows at a cattle fair. He was attacked on April 1, 2017 when he was returning home. Despite producing relevant documents, including a bill of sale, Pehlu and five others with him, including two of his sons, were beaten up by cow vigilantes near the Jaipur-Delhi national highway. Pehlu died of his injuries on April 3 that year. He was buried in a cemetery close to his home. A simple stone slab, painted yellow, marks his name and the date of his death but says little of the circumstances of his death, or life. In the background is a broken-down government school that seems to symbolise much of Nuh’s own predicament. Children walk home from school carrying small plates of rice with yoghurt, their mid-day meal, to share with families. Students study here until Class VIII, after which they must shift to a senior school some 10 km away. This is when many of the girls simply drop out. On the day I meet Jaibuna, she is alone at home. Two daughters, studying in Class VIII, have taken time off school to earn some money harvesting wheat. The energetic voices of children reciting the alphabet punctuate our conversation. Jaibuna says she learned of her husband’s death on social media. Somebody had video-taped the ghastly lynching and put it up on Facebook. She began watching, then one of her children took the phone away. “He was still alive,” she says. She still hasn’t seen the rest of the clip. ‘Justice’ is a big word for Jaibuna, who is just trying to get on with her life. An FIR was registered against six men. But a CID inquiry, which began after sustained protests by the family and civil society, said these men were not involved. In October 2018, witnesses for Pehlu, including his two sons and their lawyer, said they were shot at while going to court to record their statements. Police have dismissed the allegation as a ‘ploy’ to get the case transferred. The family still owns a few goats and buffaloes. No cow has ever been bought since Pehlu Khan’s killing. The Delhi-based journalist writes on gender issues in India. Prime Minister Narendra Modi on Friday defended his party's decision to field Pragya Singh Thakur as its candidate from Bhopal, saying it was a symbolic response to those who falsely labelled the glorious Hindu civilisation as “terrorist”. Modi accused the Congress party for creating “false narratives” on saffron terror. However, there was a time when the Rashtriya Swayamsevak Sangh (RSS), the ideological parent of Modi’s party, had tried to distance itself from the “activities” of Lt Col Prasad Srikant Purohit and his associates, which included Thakur. In a letter to then Prime Minister Manmohan Singh, the RSS had bemoaned efforts at casting “false aspersions” on it by associating the outfit with the activities of Purohit and his associates, whom it claims were also plotting to kill RSS chief Mohan Bhagwat and senior leader Indresh Kumar. In a letter dated February 9, 2011 addressed to Singh, RSS sarkaryavah, or general secretary, Suresh ‘Bhayya’ Joshi said investigating agencies had evidence that “plotters were organizing a chemical attack on Bhagwat” and “had given a pistol to a named specific person to eliminate Indresh Kumar”. Vishwa Samvada Kendra (VSK) runs the website samvada.org and describes itself as the “official media centre of Rashtriya Swayamsevak Sangh (RSS)” with its head office in Bengaluru. The letter mentions Purohit and Dayanand Pandey by name. While it does not mention Pragya Singh Thakur, she is currently on bail in the case. Joshi stated that the Maharashtra ATS has evidence that Purohit and Pandey, the accused in the Malegaon case, were simultaneously plotting to kill Bhagwat and Kumar. At the time of the Malegaon terror attack in 2008, Bhagwat was the sarkaryavah of the RSS but had become its chief at the time of the writing of this letter in 2011. Joshi stated that at the time of Malegaon investigations itself, a senior Maharashtra ATS official had informed one of RSS’s prominent leaders about this conspiracy. “Yet, shockingly some elements in the investigative agencies have been trying to club the RSS with those very same people who were plotting against it,” he said. “The fundamental question that arises, but not addressed, is how could the RSS be bracketed with those who were viciously hostile to it and conspiring to kill its leaders?” Joshi wondered in his letter to the then prime minister. The RSS general secretary pointed to the evidence in the chargesheet of the Malegaon blast, to the transcripts of telephonic conversations, which “showed that the conspirators were spewing venom at the RSS and the BJP”. “This extra-judicial confession conclusively proved that the RSS was a target of the accused persons in the Malegaon case,” Joshi said. The RSS leader alleged that the Maharashtra ATS aborted the proble into the plot to kill the RSS leaders. “Was the investigation aborted because the exposure of the plot would foil any attempt to bracket the RSS with the Malegaon conspirators?” he asked. “Using his position and his nationalist ideas, he began accessing senior RSS functionaries from the year 2005. Claiming to possess exclusive intelligence, no one else had access to, he and his associates planted canards like, that Indresh Kumar was an ISI agent and that the top BJP leaders were conspiring to harm the leaders of the RSS associates,” he said. Joshi said it “took a while for the stunned leaders to realise that Col Purohit and his associates were actually attempting to divide and weaken the RSS and its friendly organisations from within”. In the letter, Joshi claimed Purohit was anti-BJP and anti-RSS and had hidden political connections and agenda. The RSS leader said Purohit’s “role was political and he was not acting on his own”, and that “only a thorough, independent investigation will expose his political agenda and connections”, and that of Pandey. In what is possibly a hint to explain the current electoral battle in Bhopal where Thkaur is BJP’s candidate against Congress party’s Digvijaya Singh, Joshi said in the letter, “For the past year and more, a senior general secretary of the ruling Congress party has been viciously campaigning against what he called as “saffron terror”. Joshi demanded that the government institute an impartial and independent inquiry into the hidden mission of Col Purohit, Dayanand Pandey and their associates. This humiliation of a gallant Ashok Chakra hero by the BJP’s Bhopal Lok Sabha seat candidate is an insult not just to Hemant Karkare’s individual sacrifice; it is a smear on the uniform. With the candidature of Pragya Thakur, the Bharatiya Janata Party (BJP) has ensured a tectonic headline shift. And perhaps this was their plan: Field a terror accused out on bail, seize the news space and convert even the apoplectic criticism of the decision into an opportunity. After all, no one is talking about the new unemployment report that shows how five million Indians lost their jobs in the past two years, beginning with the demonetisation debacle. Or for that matter any other governance-related issues. Instead, we are all consumed and enraged by the BJP’s choice of the Bhopal candidate and the brazen defiance and disregard for all constitutional norms. Yet, in a week from now, get ready for the mainstreaming of Thakur, whose campaign will soon be reported on by the national media, as if she were a regular candidate and not a woman charged in a bomb blast that killed six people, including a five-year-old girl, who was returning home to have Ramzan dinner with her grandmother. There will be breathless reportage of the mother of all contests as the BJP nominee goes up against the Congressman who is said to have coined the phrase saffron terror. Her rallies, press conferences and speeches will get massive play as the media will invariably normalise her. Now imagine, if you will, if the victims of the Malegaon blast were primarily Hindu. Would the BJP still have fielded Thakur? And what if she had been a Muslim? Would they have spared another party for endorsing a terror accused? The BJP routinely hands out certificates of nationalism and tags anyone who disagrees with the dominant narrative as a traitor; today, it is openly advocating for an accused in a terrorism case. If this is not anti-national, what is? Where are the all the hyperventilating TV anchors who claim all dissenters are urban Naxals and anyone with an alternative perspective is the so-called tukde tukde gang? Today, isn’t it their nationalism that has collapsed into smithereens or tukde? Their prime time arsenal is otherwise full of weapons to take aim at “terror apologists”. So why are they silent against an actual terror accused? There are no hash tag wars on these channels against Thakur or the right wing for defending her so staunchly. Not even after she has launched a disgusting broadside at Hemant Karkare, the hero of the 26/11, who died fighting Pakistani terrorists in Mumbai. He also happened to be the officer who led the investigations into the Malegaon blasts and against Thakur. Now, already emboldened by her potential electoral respectability, Thakur has declared that Karkare died because of his karma. And that he was cursed to die this way. This humiliation of a gallant Ashok Chakra hero is an insult not just to Karkare’s individual sacrifice; it is a smear on the uniform. In this campaign, led by Prime Minister Narendra Modi himself, the BJP has repeatedly called the opposition treacherous for questioning the security forces after the Balakot strike. BJP spokespersons are hastily distancing themselves from the comments on Karkare. BJP’s spokesperson has said it believes Karkare is a martyr and these are her own beliefs because of the torture she was subject to. But after the sacrifice of an upright and courageous martyr has been mocked in so coarse a manner, this is hardly enough. Will Modi publicly disown the words of Thakur? Or will she be permitted to mock the sacrifice of a respected and upright police officer? And will she be called an urban Naxal or a traitor — or are those words only to be used selectively and politically? Finally, will all those eminent Indians who supported Modi for PM in 2014 and perhaps again in 2019, appeal to him to withdraw the candidature of Thakur? After all, they have often said their support has been rooted in promises of economic reform, zero corruption and efficient clean governance? But the BJP is not contesting on these issues. Its rhetoric is all about national security and, with the formal advent of Thakur, also about religious polarisation. Or are we going to pretend that Thakur is the fringe? The last time we used that description was when Yogi Adityanath was in Dadri defending the men accused of murder of Mohammed Akhlaq. He went on to become chief minister of Uttar Pradesh. Dare we even wonder to what heights Pragya Thakur may rise? If nationalism is the new Hindutva, which clearly has been the BJP’s strategy, the party may just have fallen into a trap of its own making. Even arguing that the charges against Thakur were politically motivated will not explain her disgraceful remarks about Karkare. Nor will a win in Bhopal for the BJP have the last word on the decision to give her a ticket. Because only a court of law — and not elections — will determine her innocence or guilt finally. But the very fact of her candidature dents the BJP’s claim to muscular nationalism. This is beyond the pale. And let’s measure the right wing by its own standards. To borrow from their lexicon, it is most certainly anti national. As is the decision to field her. 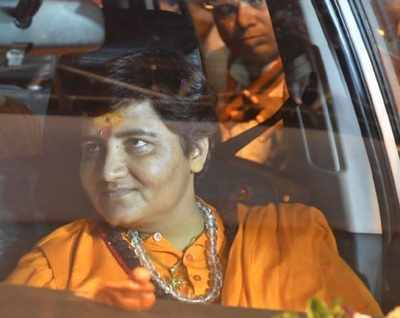 BHOPAL: The political storm over her 'curse' on 26/11 martyr Hemant Karkare was still raging when BJP Bhopal candidate Sadhvi Pragya Thakur dropped another explosive statement on Saturday - she boasted that she climbed atop Babri Masjid and helped demolish it. The Election Commission was quick to hand her a poll code violation notice - her second of the day. The Madhya Pradesh chief electoral officer, V L Kantha Rao, also issued an advisory to all political parties, warning that 'repeated violation of the model code of conduct and use of intemperate and abusive language may lead to action'. Bringing Babri Masjid back into the political narrative, Sadhvi Pragya made the controversial remark to a TV channel while campaigning in Bhopal on Saturday. "Ram Mandir will definitely be built," she said, "A grand one." Asked if she could give a timeline, Pragya said: "We will build the temple. After all, we went to demolish the structure." She boasted about her role in it. "I climbed atop the structure to break it. I am tremendously proud that God gave me the opportunity and the strength to do it. And I did it. We wiped off a blot on the country. Now we will build the Ram temple there ( Maine dhanche pe chadh ke toda tha. Mujhe bhayankar garv hai ki Ishwar ne mujhe avsar diya aur shakti di aur maine yeh kam kar diya. Ab wahin Ram Mandir banayenge )," she said. Within hours, the EC issued a second notice to her. CEO V L Kantha Rao said, "Taking suo motu cognisance of the statements by Sadhvi Pragya Singh Thakur regarding the Ram Janmbhoomi demolition to a television channel, a notice has been issued to her." Prior to the notice, an advisory was issued to all registered political parties against repeated violation of code of conduct and use of intemperate and abusive language, he added. In the advisory, the CEO's office has said that the "tide of complaints and counter-complaints" received indicates that politicians are making "provocative and inflammatory statements, calculated to cause mutual hatred, disharmony or ill will". The poll panel has taken note of use of intemperate and abusive language "transgressing the limits of decency", and attacks on personal character and conduct of political rivals to "incite hatred and aggravate differences between parties and classes of citizens on the grounds of religion, caste, community". Gandhi and RSS: Diverse Nationalisms Ram Puniyani There are continuous attempts from RSS camp to show that Mahatma Gandhi looked up to RSS with respect. The latest in this direction is the piece by RSS joint General Secretary Shri Man Mohan Vaidya. (The Mahatma and the Sangh, IE, 12 April 2019). Vaidya first tries to dissociate from Godse by stating that in the many discussions which he has attended on Gandhi within Sangh, Godse is not mentioned. Does that mean Godse had nothing to do with RSS? He was a Pracharak of RSS who later joined Hindu Mahasabha as its Secretary of Pune Branch. His brother Gopal Godse, Nathuram’s younger sibling and a co-conspirator in the assassination plot, in 1994, disclosed that his elder brother was anxious to protect the RSS, which had been "like a family to us". "[Nathuram] said in his statement that he left the RSS", Gopal continued. "He said it because... the RSS were in a lot of trouble after the murder of Gandhi. But he did not leave the RSS". Gopal denounced the "cowardice" of those disputing his brother's unbroken membership of the RSS. Corroborating Gopal's statement is the influential pro-RSS scholar Dr Koenrad Elst who, in his 2001 book Gandhi and Godse, wrote that "Nathuram contrived to create the impression that the RSS had little to do with him, simply to avoid creating more trouble for the RSS in the difficult post-assassination months." Right in the beginning of the article Mr. Vaidya is forthright to point out his opposition to Gandhi, “…despite disagreeing with him and his surrender to the extremist and jihadi elements among Muslim community RSS had admired… (Gandhi)” This distortion of history is deliberate in keeping with Hindu nationalism espoused by Vaidya and his RSS. While from within Muslims there were Muslim Nationalists, whom Gandhi abhorred, he wooed over large section of Muslims to Indian Nationalism. To call the Muslims who participated in freedom movement under the leadership of Gandhi extremist or jihadi is not only a travesty of truth; it is more a revelation of RSS worldview where Muslim is seen as alien, foreigner, aggressor and terrorist. It is this root of RSS ideology which prompted Godse to put three bullets in the chest of Mahatma. Viadya does try to present as if RSS was part of freedom movement, by showing that RSS founder Dr. K. B. Hedgewar participated in 1921 non cooperation and 1930 civil disobedience movement. On one side Hedgewar participated in Non cooperation movement on the other he is critical of the impact of the same, ‘As a result of non cooperation movement of Mahatma Gandhi, the enthusiasm in the country was cooling down and the evils of social life, which that movement generated, were menacingly raising their head. ‘As per him ‘it is due to this movement that Brahmin–non Brahmin conflict was nakedly on view’. (C.P.Bhishikar in Keshav Sangh Nirmata, Pune 1979, p 7) Surely these participations by the RSS founder were purely in personal capacity and RSS never participated in any anti British movement as an organization. In 1930, (RSS was formed in 1925) Hedgewar discouraged those who wanted to participate in anti British Movement. And in 1942, his successor also forbade RSS volunteers to take part in 1942 Quit India movement. Golwalkar reminded the RSS that fighting against British is not a part of their agenda. This RSS ideologue clearly spells out that fighting against the British has not been part of their agenda, “We should remember that in our pledge we have talked of freedom of the country through defending religion and culture, there is no mention of departure of British from here.” (taken from Shri Guruji Samagra Darshan, vol. IV, page 40) As far as Gandhi’s views on RSS are concerned there are some scattered observations, but these give an apt understanding of what he thought of about RSS. As far as Gandhi’s understandings about RSS is concerned there are authentic sources to tell us the real story. In Harijan on 9th August 1942, Gandhi writes, “I had heard of the Rashtriya Swayamsevak Sangh and its activities; and also know that it was a communal organization”, this was in response to the slogans and some speech against ‘other’ community, about which a complaint was made. In this Gandhi is referring to the drill of RSS volunteers, who shouted that this Nation belongs to Hindus alone and once the British leave we will subjugate the non Hindus. In response to the rowdyism indulged by communal organizations he writes, “I hear many things about RSS. I have heard it said the Sangh is at the root of all this mischief.”(Gandhi, xcviii, 320-322) Amongst the recorded opinions about Gandhi’s evaluation of RSS, the most authentic is the one of his secretary Pyarelal. Pyarelal narrates an event in the wake of 1946 riots. A member of Gandhi’s entourage had praised the efficiency, discipline, courage and capacity for hard work shown by RSS cadres at Wagah, a major transit camp for Punjab refugees. Gandhi quipped back, ‘but don’t forget, even so had Hitler’s Nazis and Fascists under Mussolini’ Gandhi characterized RSS as a communal body with a totalitarian outlook’ (Pyarelal, Mahatma Gandhi: The Last Phase, Ahmadabad, page 440) After independence, in the context of Delhi violence (Rajmohan Gandhi, Mohandas, page 642), Gandhi confronted the RSS chief Golwalkar, with reports of the RSS hand in Delhi violence, Denying the allegations Golwalkar also said that RSS did not stand for killing the Muslims. Gandhi asked him to say so publically. Golwalkar said Gandhi could quote him on this. Gandhi did this in his prayer talk that evening, but he told Golwalkar that statement ought to come from him. Later he told Nehru that he did not find Golwalkar convincing.’ So today when point is being made about choice between Gandhi and Godse, what is being pleaded is that the choice is between inclusive Indian nationalism of Gandhi and exclusive Hindu nationalism being propounded by RSS progeny BJP, Godse is synonym of Hindu nationalism, the agenda of RSS Combine! There are continuous attempts from RSS camp to show that Mahatma Gandhi looked up to RSS with respect. The latest in this direction is the piece by RSS joint General Secretary Shri Man Mohan Vaidya. (The Mahatma and the Sangh, IE, 12 April 2019). Vaidya first tries to dissociate from Godse by stating that in the many discussions which he has attended on Gandhi within Sangh, Godse is not mentioned. Does that mean Godse had nothing to do with RSS? He was a Pracharak of RSS who later joined Hindu Mahasabha as its Secretary of Pune Branch. His brother Gopal Godse, Nathuram’s younger sibling and a co-conspirator in the assassination plot, in 1994, disclosed that his elder brother was anxious to protect the RSS, which had been "like a family to us". "[Nathuram] said in his statement that he left the RSS", Gopal continued. "He said it because... the RSS were in a lot of trouble after the murder of Gandhi. But he did not leave the RSS". Gopal denounced the "cowardice" of those disputing his brother's unbroken membership of the RSS. Corroborating Gopal's statement is the influential pro-RSS scholar Dr Koenrad Elst who, in his 2001 book Gandhi and Godse, wrote that "Nathuram contrived to create the impression that the RSS had little to do with him, simply to avoid creating more trouble for the RSS in the difficult post-assassination months." Right in the beginning of the article Mr. Vaidya is forthright to point out his opposition to Gandhi, “…despite disagreeing with him and his surrender to the extremist and jihadi elements among Muslim community RSS had admired… (Gandhi)” This distortion of history is deliberate in keeping with Hindu nationalism espoused by Vaidya and his RSS. While from within Muslims there were Muslim Nationalists, whom Gandhi abhorred, he wooed over large section of Muslims to Indian Nationalism. To call the Muslims who participated in freedom movement under the leadership of Gandhi extremist or jihadi is not only a travesty of truth; it is more a revelation of RSS worldview where Muslim is seen as alien, foreigner, aggressor and terrorist. It is this root of RSS ideology which prompted Godse to put three bullets in the chest of Mahatma. So today when point is being made about choice between Gandhi and Godse, what is being pleaded is that the choice is between inclusive Indian nationalism of Gandhi and exclusive Hindu nationalism being propounded by RSS progeny BJP, Godse is synonym of Hindu nationalism, the agenda of RSS Combine! On 10 April 2019, Prakash Lakda, a 50-year old Adivasi of Jurmu village of Gumla’s Dumri block, was lynched to death by a mob of men from the Sahu community of neighbouring Jairagi village. Three other victims from Jurmu – Peter Kerketta, Belarius Minj and Janerius Minj – sustained severe injuries due to the beating by the mob. A fact-finding team of Jharkhand Janadhikar Mahasabha, comprising of several activists and representatives of member organisations, conducted a fact-finding inquiry into the incident on 14-15 April.